Presented By: Barbara Hypes, P.T. 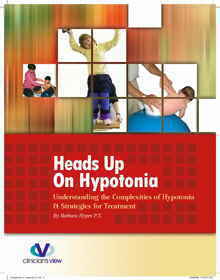 This impressive text and DVD is the most comprehensive discussion on the issues of hypotonia and effective treatment strategies currently available. Barbar Hypes. 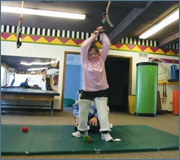 PT takes the reader through a complete problem-solving approach that deals with the complexities of understanding and treating children with hypotonia. 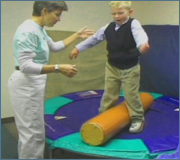 She discusses frequently asked questions and provides clear answers for both therapists and parents alike. Topics include a discussion of tone and problems associated with hypotonia, strategies and therapy tools, compensation and complications. Included with this text is a 72 minute DVD that provides detailed therapy examples and strategies clearly demonstrated and discussed. Order on flash card for the retail price. What is a Flash Card? Download on MP4 for a 15% discount and free shipping. Please select a purchase option and then click the Add To Cart button. Copyright © 2016 Clinician's View. All rights reserved.